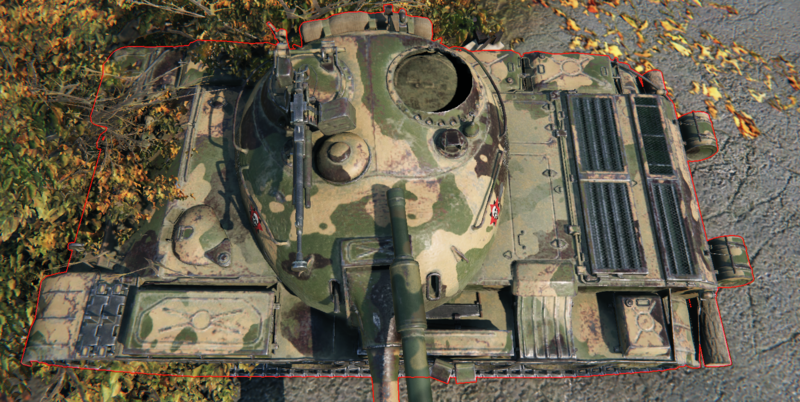 Jokes aside though: I forgot to take pictures of the TOG's interrior . Thanks for showing me. Yet it says on the forum page linked in the YouTube video, that the TOG is not working anymore. Now I am sad. Technically the UUP Type 59 is done (both versions), but only the modelling part with the files exported and the values set. Gotta wait 'til I'm back home to see if I need to fix anything texture related (if anything at all, it's usually AO stuff) since then I've got a PC with the HD client installed. Is it just me or does the Type 59 in the pack has the coax-MG firing? Didn't test it with the seperate download yet, but the Type 59 .wotmod file I took from the pack of 8 had the coax-MG firing. Edited by TheMantikor, 09 January 2018 - 03:55 PM. So I mixed them up by accident... Just had to happen. The only difference is the position of "_disabled" in the gun's visual_processed. Gotta swap 'em then. Edited by TheFalkonett, 09 January 2018 - 04:19 PM. hi i ended up dancing tango with a Type 59 so i thought i'd aim for the top weakspot. but it was gone. do you have UML installed? I found the issue: UML is not installed. Mate. Clue's in the name "UML Utilization Project". There's also all the necessary info in the OP. I can't change the "Attention!" 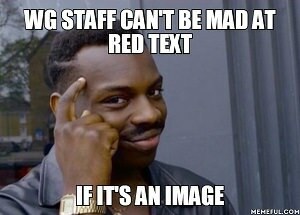 to red, otherwise WG will just change the colour, since that red is reserved for WG staff only. Edited by TheFalkonett, 09 January 2018 - 06:12 PM. oh shucks i installed the UML thing, but i installed it on common test instead well that's fixed, so you can make almost anything rotate after the camera? like making the secondary turret on the tier 4 Grant british medium rotate? Yee. That's pretty much what this is about. Can also add a firing effect, and recoil to the 37mm of it. Also: Keep in mind that Atacms is the real hero here. Without him, this thread wouldn't even exist. Edited by TheFalkonett, 09 January 2018 - 06:34 PM. I do take requests (as you can see, there's even a list in the OP). The requests are basically just: name the tank, I already know what to do. If there's is something special you want (like RazerTeck and his Type 59 coax-MG request), just say it. From what I can see, the Grant can use the UML for the turret on top, aswell as the gunner's viewport for the 75mm. Maybe the cupola on the turret aswell (I'll have to check on that though). When you're looking into the Grant, mind doing a similar thing for our beloved Lee? "Everyone has one (1) request for now. I might "reset" this. so that everyone has another one"
So you gotta decide: Robert Edward Lee, or Ulysses S. Grant? No wait you mistake something there! I am not the one who requested the Grant remodel! Ripper366 was, and that's not me. I mean YES! I knew that. maybe. perhaps. not. Seriously though: I actually had a brain fart there. So: Yes, I can do that then.